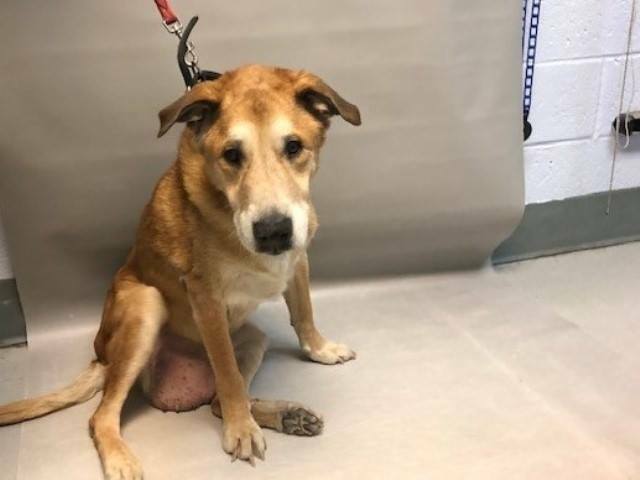 OLD MAN MAC located in Brooklyn, NY was euthanized on Jan 16, 2019! About old man mac: Old Man Mac has been humanely euthanized due to behavior and medical Hello, my name is Old Man Mac. My animal id is #52561. I am a desexed male tan dog at the Brooklyn Animal Care Center. The shelter thinks I am about 12 years old. I came into the shelter as a owner surrender on 13-Jan-2019, with the surrender reason stated as person circumstance- moving - no pets allowed. Sorry, this pet is for new hope partners only. Old Man Mc was placed at risk due to behavioral concerns; He has displayed concerning behavior both on his previous Home and in the shelter environment. Old Man Mac has been challenging to handle in the care center at times, he seems to be uncomfortable with handling overall and has escalated to growling and freezing during interactions. Due to our observations combined with his behavior concerns reported in his previous home environment, we believe Old Man Mac may be best set up to succeed if placed with an experienced rescue partner. he is an old Geriatric dog.